A new report on how much tax accountancy and law businesses pay fails to give the whole picture on the tax avoidance industry. The global tax avoidance industry is dominated by accountants and lawyers – and at the big accountancy firms, staff are trained to design, sell and implement complex avoidance strategies to enable giant corporations and wealthy elites to dodge taxes. It’s a very lucrative trade. But also deprives elected governments of much needed public revenues to provide education, healthcare, security, pensions and decent social infrastructure. Despite parliamentary inquiries and a public outcry the firms have not shown any remorse. Instead, the firms have used their resources on propaganda wars. 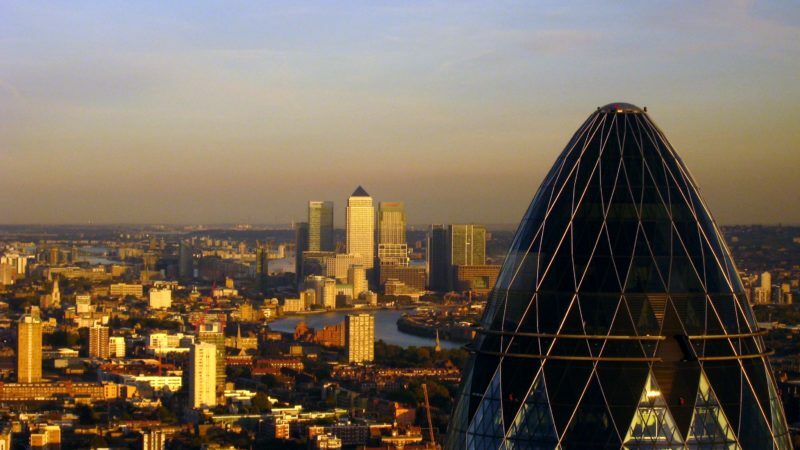 Last week we saw the latest evidence of that: a report prepared by PwC and published by TheCityUK, a body representing the UK-based financial and related professional services industry. The report, covered uncritically by many news outlets, claims that in 2015/16, the UK’s 60,470 accountancy and law businesses, ranging from giant global firms to sole traders generated £15.5bn in taxes. But the headline is not what it seems. Some £9.1bn of that figure is not directly borne by the firms at all. Rather, they have collected income tax and national insurance contributions (NIC) paid by 693,000 employees under the pay as you earn (PAYE) system – plus value added tax (VAT) and insurance premium tax (firms also sell financial services) collected from customers and remitted to Her Majesty’s Revenue and Customs (HMRC). The VAT collected by the firms is generally remitted to HMRC on a quarterly basis and PAYE amounts are paid to HMRC about three weeks after events. All this generates substantial cash flow for the firms. Of course, the PwC report is silent on this interest free loan from taxpayers and the revenues which they may have generated form this free source. The report the claims that some £6.4bn of tax was borne directly by the firms. But one must also take issue here. Most accountancy and law firms trade as limited liability partnerships (LLPs) rather than as limited liability companies, though a tiny number has chosen to be incorporated. A company pays corporations tax on its taxable profits – and thus as a legal person pays tax. LLPs are taxed differently. Despite providing elements of liability limits to partners they are not liable to pay tax on the firm’s profits. Instead, in general, partners of LLPs pay income tax on their share of the profits generated by business. Now, the PwC report claims that partners paid income tax of some £4.7bn. The difficulty is that this number cannot be independently corroborated. Firm profits, partner salaries and share of profits are rarely shown in the accounts published by the firms. TheCityUK report is based on a survey and uses data voluntarily supplied by the participants. It is confidential. What weight should anyone attach to partners’ own claims of how much tax they pay, for a report by their own industry group? And while the report emphasises the tax contribution of the sector, it is silent on the benefits that it receives in return. Just think about the amount that society has spent on education, healthcare, transport, security and legal system to enable the firms to have a ready supply of labour and make profits. The role of the big firms in tax avoidance has been highlighted by offshore scandals as well as domestic scandals. This could have persuaded TheCityUK and PwC to come clean about the fees and profits made from the tax dodging trade – but their report is silent on such matters. The tax dodging industry inflicts huge losses on the public purse – yet the firms do not provide any data about the taxes lost as a direct result of their tax avoidance businesses. Or whether tax avoidance practices may be being used by partners themselves: despite that data being available within the firms. Accountancy and law firms remain addicted to easy profits from tax avoidance. They have not turned some new leaf to enhance their public accountability. Instead, TheCityUK report is about PR and impression management. It is a propaganda tool to sway public opinion – and deflect attention away from the routine involvement of accountancy and law firms in the damaging trade of tax avoidance. The public should see through it. I suggest you look at the list of donors to the Conservative party. firstly evasion and avoidance must be considered to be the same offence in law and accountants and tax planners must be charged as accomplices. Tax avoidance should be seem a practices awaiting to be defined as tax evasion and any government serious about maximising tax take from the very well off should ensure that enabling legislation and highly qualified staff are available to HMRC as a priority. When it comes to public sector contracts to these companies they should be let only on condition of conforming to ethical standards on both paying tax and to advising clients on such payments.